Hi! Welcome to my Growing in Unity Day 2! If you missed yesterday, jump back, have a look, leave a comment and possibly win a great Unity prize at the end of the week! I want to start including notes in my son's lunchbox next school year so I'm trying to get a jump on them. I'm hoping to have one for each week when it's all said and done. These are ATC-sized (2.5x3.5") so they'll fit nicely in with his noshies. aww!! this is so cute!! I'm sure your son will love them!! Darling little cards! What a treat for your son! Cute cards. Hope he appreciates them. Great idea! You have a lot to make! :) They look cool. I'm sure he will enjoy them. Gosh, I love how you colored the little guy. It looks like fur! These are so cute and great job and working ahead! What awesome lunch box notes! Love the french fries! Too cute!! These are SO cute...I just love the fries! This is such a special thing to do for your son. I hope you will keep them in an album for him. They are adorable! Both are delightful. Nice job. What a fun pair of cards! LOVE your fab coloring of the otter!! 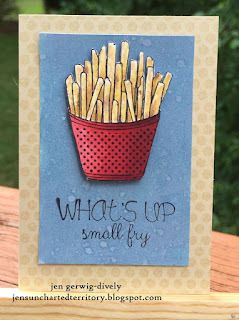 Fabulous ATC cards,they look lovely,especially the fries.I hope,he loves them too.It sure is a lovely gesture for your little one.Blessings. I LOVE THESE CARDS!!! So fun!!! what sweet projects today!!! Wonderful coloring too! These cards are just adorable! 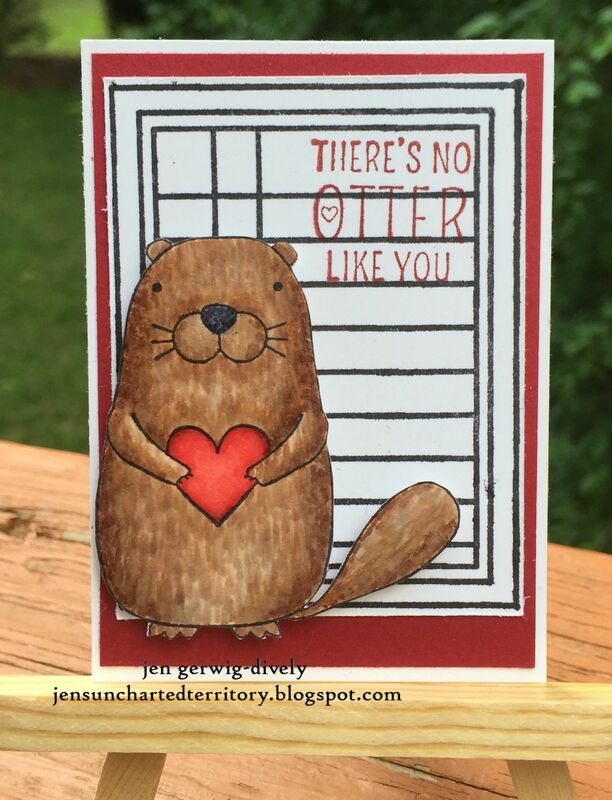 The otter is one of my favorites from Unity in my little collection. I haven't seen the fry stamp, so glad you shared them!